Ready for a fresh take on Holiday vegetables? Here’s a recent favorite. 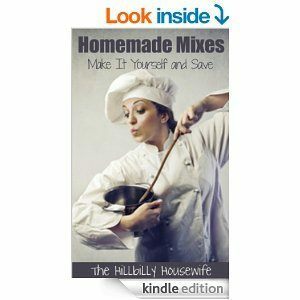 I’ve been cooking this all fall and look forward to a new addition to the Thanksgiving table this week. 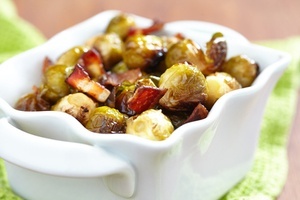 If you like brussel sprouts and bacon, this is a great recipe to try. 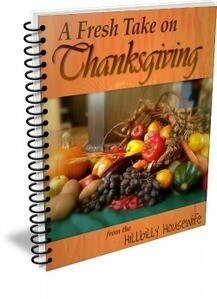 The recipe is from “A Fresh Take On Thanksgiving“, my latest HBHW cookbook. Clean and trim your Brussels sprouts. Cut larger sprouts in half if needed. In a large bowl, toss the sprouts with olive oil, salt and pepper. Spread them out on a large baking sheet. Dice the uncooked bacon and sprinkle it over your sprouts. Bake the sprouts for 30 minutes or until they are tender and start to brown just a bit around the edges.